“For those who received the ‘this page does not exist’ message when trying to place a sample order for this recent offer [posted on Oct 31st] please send me an email to edsca.im@pg.com so that I can assist you further with this. 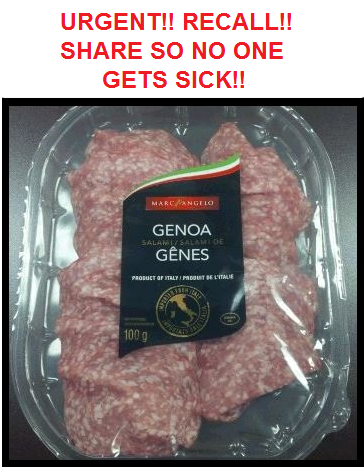 *URGENT* Marc Angelo Recall Due to Listeria Contamination! If you or someone you know as purchased this product DO NOT CONSUME!! There have not been any reported illnesses as of yet and we do not want you or your family to be one of the first. Please share with everyone you know and get this important message out to the general public. Food that is contaminated with Listeria monocytogenes may not look or smell any different from any of the other foods you have in your refrigerator.However, they can still make you really ill if consumed. URGENT! RECALL for Dole Italian Blend Salad in Canada! 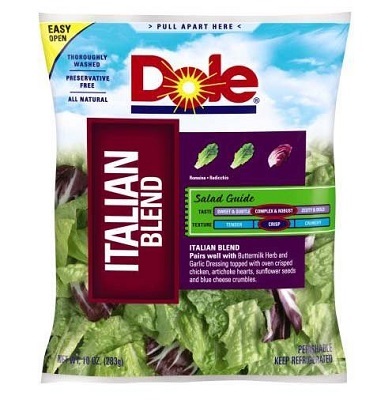 Dole is recalling their Italian Blend Salad for possible Listeria Contamination. Three provinces that we know that this product as been sold in are Ontario, Quebec and New Brunswick. However, it may have been sold in other provinces across Canada as well. The affected product is 10-ounce bag with a best-before date of 14-March-12 If you or someone you know have purchased this product DO NOT CONSUME, DISREGARD IMMEDIATELY. Products that contain Listeria may not look or smell contaminated. Click Here for more information about Dole food recalls. 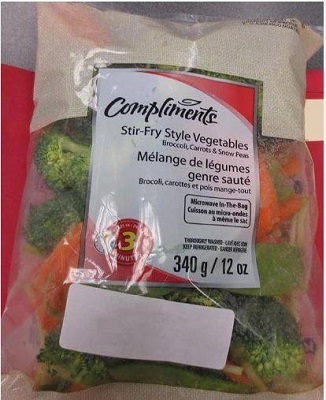 Health Canada is recalling Compliments brand Stir-Fry Style Vegetables from all marketplaces due to a possible Listeria monocytogenes contamination. 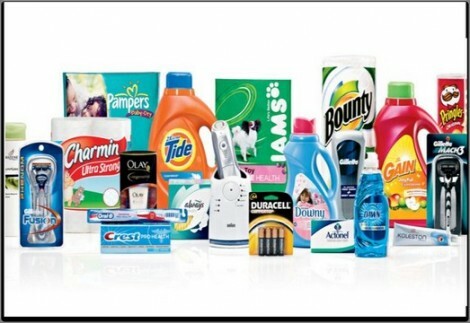 Consumers are being asked not to consume the recalled products. Health Canada is asking anyone who has the product in their home to either throw it out, or return it to the store it was purchased at. Listeria monocytogenes does not affect the appearance, smell or taste of the food it contaminates, but can make you very sick, and my even cause death in some cases. Women who are pregnant, the elderly and those with weakened immune systems are at a much higher risk of serious complications. Infected women who are pregnant may experience mild, flu-like symptoms, however the infection may lead to premature delivery, infection of the newborn or even miscarriages and stillbirths. In severe cases, people may die. 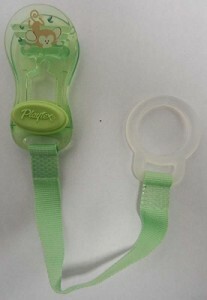 There has been a recall for Playtex Pacifier Holder Clips sold from July 2010 through October 2013 in Canada and the United States. The pacifier clips can crack and a small part can break off which poses a choking hazard to small children. Playtex has received approximately 99 reports (total) from consumers, including 43 reports from Canada, in which the pacifier holder clip was cracking or breaking. No injuries have been reported. Health Canada has received one report of this pacifier clip breaking where a small part was liberated, with no injuries reported. If you or someone you know have these clips please be sure to take the pacifier holders away from infants immediately and contact Playtex for instructions on how to return the product for a full refund. Click Here for more information.